Clinton’s stark statement was not only an acknowledgement that she plans to continue waging President Obama’s “war on coal,” it was a clear sign she intends to accelerate the destruction of one of the country’s leading energy sector industries. It may also have an undesirable political effect in Ohio, which was the ninth largest coal producing state in 2013. Ohio is one of five states holding primaries tomorrow. A week ago, Sen. Bernie Sanders defeated Clinton in the Democratic primary held in neighboring Michigan. Clinton says she has a plan, however, for all those coal miners currently working at those coal companies she will put out of business. And we’re going to make it clear that we don’t want to forget those people. Those people labored in those mines for generations, losing their health, often losing their lives, to turn on our lights and power our factories. Now, we’ve got to move away from coal and all the other fossil fuels, but I don’t want to move away from the people who did the best they could to produce the energy that we relied on. 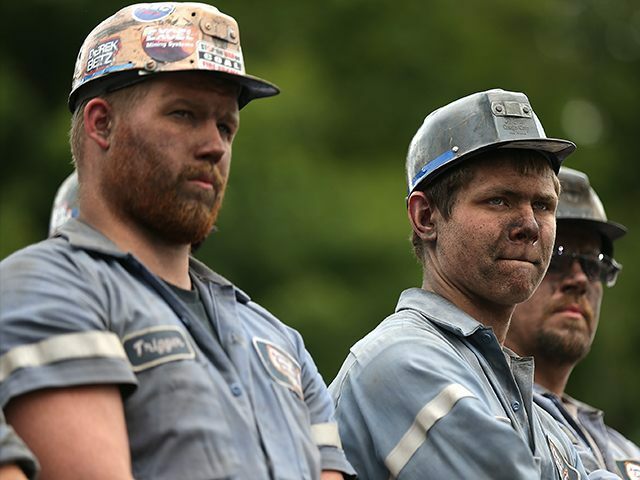 How many of them are willing to wait for highly subsidized jobs in place of well-paying coal mining jobs? It is fashionable for liberals to assume that today’s coal miners are all suffering from black lung disease. What they don’t realize is that strip mines like those in Ohio and Wyoming are capital-intensive affairs paying top wages to skilled operators of expensive machinery. Not for the first time, Hillary is stuck in the past. Clinton will increase funding for technical assistance for entrepreneurs and small businesses in impacted coal communities, through programs like the Innovation Center at Ohio University in Athens. Increased funding for technical assistance and the promise of solar panel jobs that are highly unlikely to ever materialize, however, may offer little solace to Ohio coal miners whose jobs Hillary Clinton has promised to destroy.